Your surgery, Our commitment to you. A large screen on the wall by the entrance helps you keep track of friends/family members throughout their surgical experience. 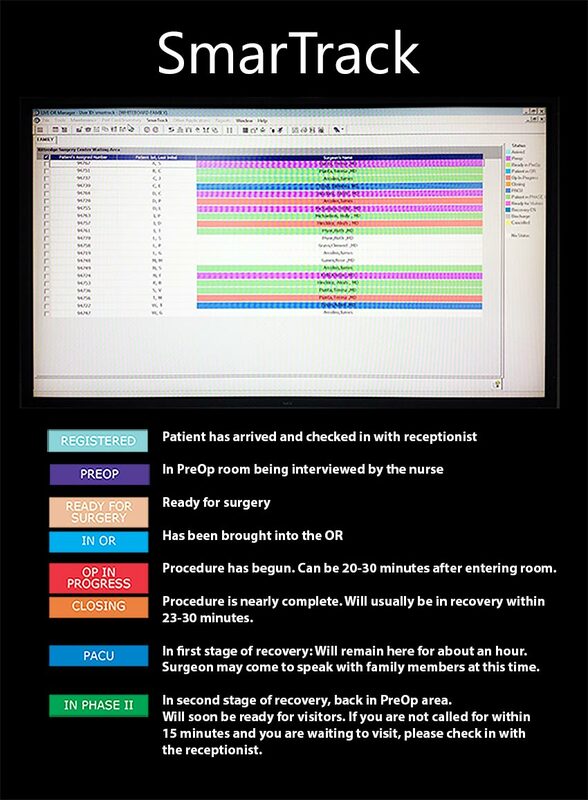 The screen displays your friend/family member’s initials, an assigned number you will receive on arrival, and the surgeon’s name. 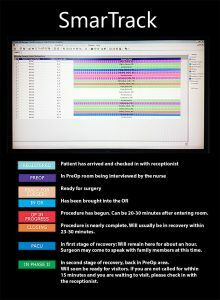 As their surgery proceeds, their information is highlighted with different colors that inform you about how they are progressing. When faced with surgery, you want to know that the people responsible for your care are highly trained, confident, and compassionate professionals. Our surgeons advance your health in our state-of-the-art surgical suites at the Kittredge Surgery Center. 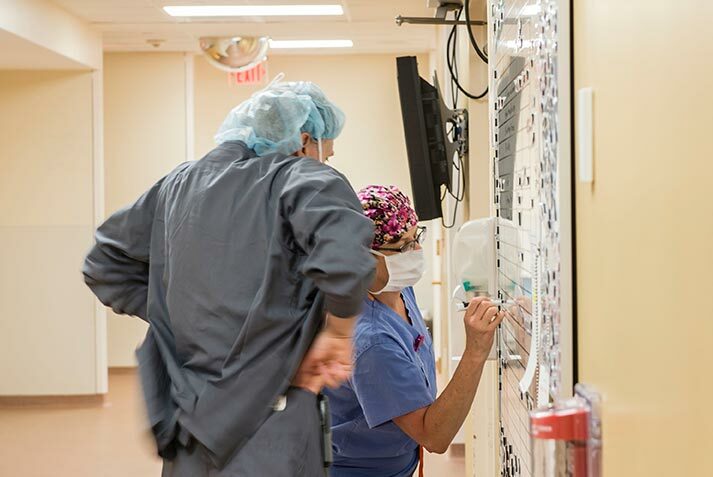 The surgeons, anesthesiologists, nurses and support staff at Cooley Dickinson Hospital have worked hard to perfect a smooth, coordinated process for performing a range of surgical procedures, right here in Northampton. Our goal is to provide you with the safest, most comprehensive care available in a comfortable environment that is close to home. Related surgeries (such as a mastectomy and reconstructive breast surgery) can often be performed in a single visit. 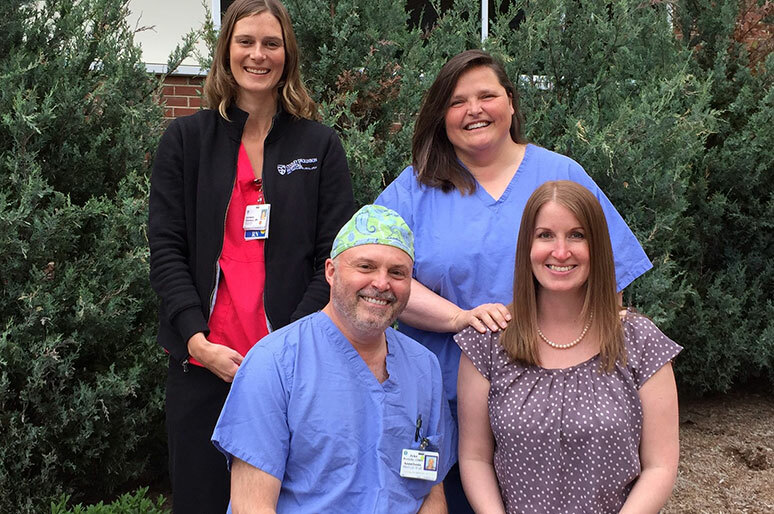 The Kittredge Surgery Center is dedicated to your care. If you have questions about your surgery, please speak with your doctor. Our dedicated team will support you every step of the way, beginning with Pre-Admission Assessment, where we review your health history, help you prepare for surgery and discuss any anticipated post-operative needs. Many people in Western Massachusetts might think that requiring surgery means traveling to the Boston area to access the care they need. 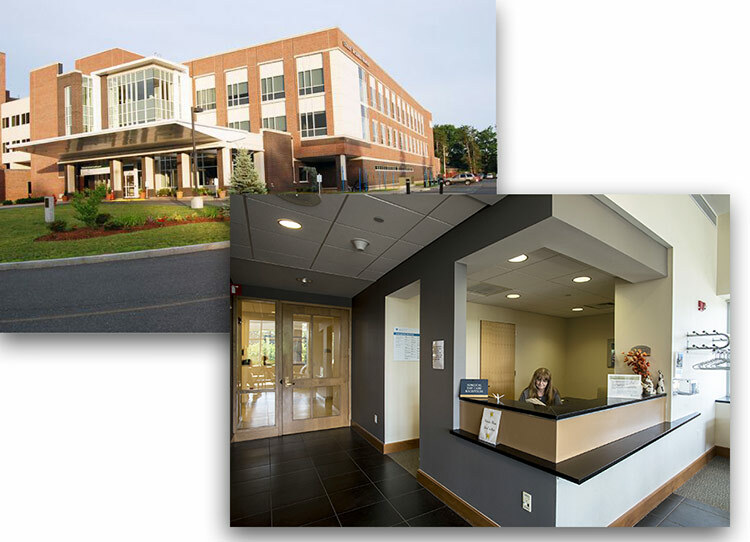 But for the last decade, The Kittredge Surgery Center has provided state-of-the-art surgical facilities on-site at Cooley Dickinson Hospital in Northampton. The Center features spacious Operating Room suites that easily accommodate anesthesia, nursing and support staff as well as large, sophisticated imaging and diagnostic equipment, and a number of private pre-operative and post-operative recovery areas. Each operating room is equipped with an automated medication dispensing system to increase the safety and efficiency of medication dispensing. The O.R. suites have been designed to help control potential paths for infection and maintain as sterile a care environment as possible for daily surgery. As part of our commitment to preventing infections, Cooley Dickinson Hospital also uses ultraviolet (UV) light disinfection robots between cases and at the end of the day to kill germs on surfaces and equipment. This process helps us to provide the safest environment we can for our patients. Opened in 2007, The Kittredge Surgery Center is named for Mike and Lisa Kittredge, who generously donated $1 million to support and expand access to locally available health care services. Trust in her team: This spring, Cooley Dickinson General Surgeon Michelle Helms became a patient of her own practice. Cooley Dickinson Medical Group General Surgical Care has begun to implement a new surgical protocol for colon surgeries that aims to reduce recovery times and infection rates, and improve the patient's overall experience. Please Note: These instructions are for your safety. Failure to comply with your health care provider’s instructions before surgery may result in delay / cancellation of your surgery. You may brush your teeth, but do not swallow water, mouthwash, toothpaste, etc. If you take any medications, supplements or herbal remedies, please refer to the instructions you received from your health care provider about whether to continue taking them. If you are instructed to take pills on the morning of surgery, you may swallow them with a small sip of water.